The Township of Langley Firefighters’ Charitable Society ( TLFCS ) has its own front-line engine to respond to Community Events. Our truck is known as E4550 in honour of our Local Chapter of the International Association of Fire Fighters. Whenever it was known that our firefighters were to be at a festival, kids of all ages would look forward to seeing a fire engine, maybe getting to sit where the firefighters sit while responding to a fire, and having a picture taken. In aid of that expectation, in our first years of operation, we would approach the Township of Langley Fire Department for use of an in-service fire engine to bring to events. They were always obliging, but for reasons of convenience and self-sufficiency, it was quickly decided that the TLFCS should obtain its own fire engine… and the search began. In the Fall of 2015 when TLFD Engine 9 was being decommissioned, such an opportunity presented itself. 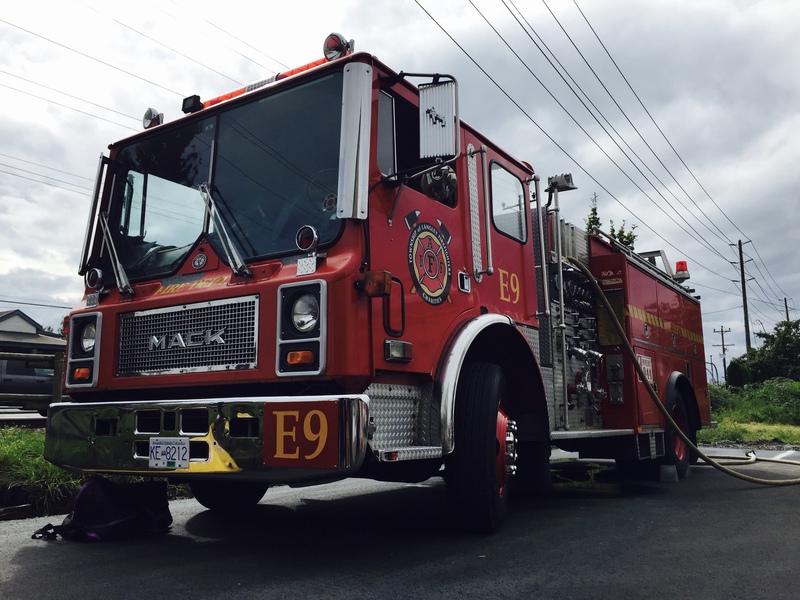 Following a proposal to TLFD Fire Chief Gamble, and his recommendation to Township Council, the 1986 Mack fire engine was gifted to the TLFCS early in 2016. Engine 9 had most recently been in-service as a training apparatus, but spent the majority of its time in the TLFD fleet as a front line apparatus. Currently E4550 is being refurbished to fit its new role, making it more fun for kids, and giving the TLFCS a mobile facility to host barbecues, bring firefighter games to events and deliver public fire service announcements. That process is being aided by the automotive skills held by several of the Township’s firefighters, and sponsorships being sought for equipment.